The showroom and workshop at Four Corners Framing. 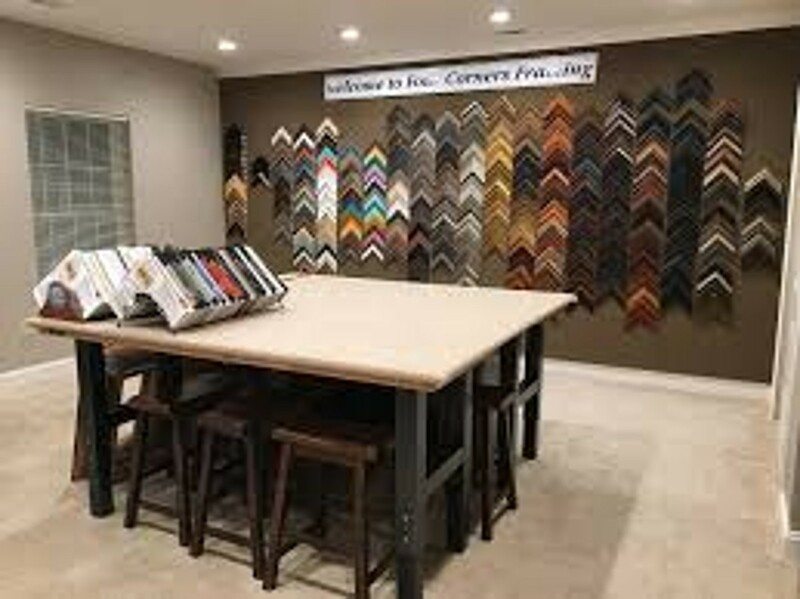 Located in Lovettsville, Four Corners Framing is your neighborhood picture framing design and manufacturing studio. We provide each customer with a one-on-one design consultation to ensure the highest level of satisfaction. We design and manufacture your frame on-site, offering countless design options. We look forward to providing you professional and personalized picture framing services at an affordable cost. We will work with you to custom-design a framing solution that not only conserves and protects your artwork, but just as importantly, augments the artistic presentation of your sketch, painting, photograph, or memorabilia, so that it sets apart from others' artwork. We use only conservation quality materials, offer frame restoration services, and a full array of frame styles, including floater frames and shadow boxes.